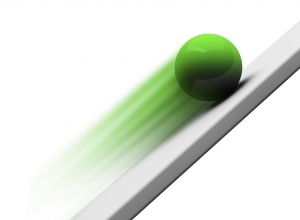 Home » Articles » What is Momentum and Why Does it Work? What is Momentum and Why Does it Work? The concept of momentum originated with regard to classical mechanics, in which it refers to the tendency of a moving object to keep moving along its direction of travel. In finance, and especially with regard to investing, we talk in terms of price momentum. As you can infer, this is the tendency for asset prices to continue moving in the same direction they are currently heading. Momentum has both direction and magnitude. With regard to investing, the price momentum of an asset can be either positive or negative (direction) and can vary in strength (magnitude). Price momentum can be strong, it can be weak, or it can not exist at all. A casual observation of the stock market, or any financial market for that matter, will demonstrate this concept at work. Bull markets, periods of rising asset prices, tend to continue for many years until a final tipping point is reached. An ensuing bear market, in which asset prices fall, exhibits a similar phenomenon in which the price declines persist much longer than many believe possible. If you’re familiar with the concept of a trend, you intuitively understand how momentum works. When there is a bullish trend, whether it be in real estate, bonds, stocks, or even sports, the trend has a tendency to continue. Perhaps you’ve heard one of the oldest and wisest quips when it comes to investing, “the trend is your friend.” This statement encompasses what is important to understand about momentum, and that is to make sure it is always working for you and not against you. Have you ever owned an investment that performed well, which you sold to lock in gains, only to watch it move inexorably higher in the following months and years? What about the opposite, have you ever owned a losing investment, but stuck with it hoping it would rebound, only to watch it drift lower and lower? This is how most investors are first introduced to the concept of momentum. What they don’t realize is that winners have a tendency to keep on winning, and losers have a tendency to keep on losing. Price momentum is not a new concept when it comes to investing. In fact, momentum has been around for as long as financial markets have existed. Successful traders rely heavily on momentum, but they are too often focused on short-term momentum, and miss reaping the benefits of longer trends. If you can learn to apply momentum to investing, you can do incredibly well and find yourself consistently on the right side of the market. Those who have learned to harness the power of momentum consider it the single greatest tool for achieving outsized returns. If momentum is so powerful, you might be wondering why it works. We’re about to get to that. But first, it’s important that you understand that this is not some untested, opinionated belief about markets and how they operate. The concept of momentum has been studied by academia for decades. As you know, there are large sums of money to be made by correctly positioning oneself in the financial markets. As a result, mathematicians, quants, and super geeks around the world have flocked to the financial markets in search of a way to consistently beat the market. As you can probably guess, nearly every theory that academia has studied with regard to predicting and outperforming the market has failed. All except for one that is … momentum. You don’t have to believe us, you can do your own research. There are many books on the subject and a litany of academic studies and research papers discussing the findings of multi-decade studies. Nearly all of them come to the same conclusion: Momentum is the one market anomaly that has persisted through time. If applied correctly, it can become the basis of a playbook for generating substantial wealth. While the academic community admits that price momentum exists as a market anomaly, they are less certain about why. One of the main theories put forth that is continually gaining more and more traction relates to behavioral finance. You will find that Model Investing puts a strong emphasis on analyzing the psychology of markets and market participants. This is because the economy, markets, and asset prices are all driven predominantly by human behavior. This may come as a shock to you, but humans don’t behave rationally. Yes, I’m talking about you, but I’m also talking about myself and everyone else, including portfolio managers, traders, institutional investors, you name it. We’re all subject to the same set of emotions that cloud our judgement and cause us to make non-optimal decisions. Often times, our irrational nature plays out in systematic and predictable ways. If you’ve paid any attention to markets, you’ve likely noticed a strange phenomenon. An inordinately large number of investors have a tendency to buy when stock prices are too high, and sell when they are too low. This is emotionally driven behavior, and it is a driving force behind price momentum. When the stock market is in rally mode, a sense of greed sets in. Folks who have not been participating watch others getting rich and want a taste of the action for themselves. So they buy in once asset prices are already inflated, prolonging the move upward, only to find that they’ve arrived too late to the party and most of the gains have been had. Rising asset prices continue their momentum because of widespread emotional greed and a habit of chasing the market. The same effect occurs during bear markets. Perhaps you or someone you know sold their investments near the bottom of the most recent financial crisis. They watched the market deteriorate for years before finally fear and despair set in, at which point they said enough is enough, and sold their positions. Again, this was emotional driven investing. Instead of selling, those very same investors should have been buying. But instead they succumbed to emotional distress and sold their holdings, prolonging and continuing the bear market. This type of behavior is an example of the driving force behind negative price momentum. Momentum works not only at the aggregate market level, it works at each and every level of the market. It works with stocks, with sectors, and it also works across other markets, whether it be currencies, bonds, or precious metals. Understanding how to apply momentum to your investment strategy is a prerequisite for long-term success. Without momentum providing a tail wind, you’re likely to find investing a difficult, frustrating, and wealth-destroying venture. But if you can harness this tested and proven strategy for generating enhanced returns, success is easily within reach. Model Investing provides a series of investment models as part our premium service. 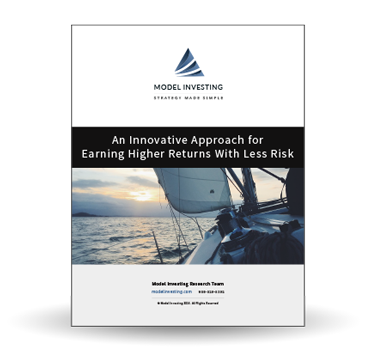 These models leverage various forms of momentum and use a rules-based approach to provide market-beating returns. The models were largely able to sidestep both the dot-com collapse as well as the financial crisis. While asset values were collapsing, our models were enjoying the safety of cash, cash equivalents, and fixed income. If you have not yet explored the investment models to see how they can benefit your portfolio, you owe it to yourself to do so. 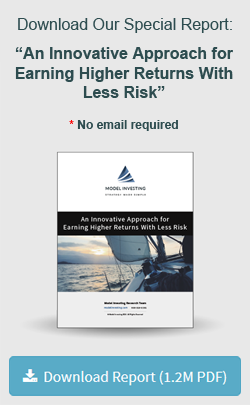 A subscription to Model Investing gives you exclusive access to our proprietary investment model recommendations each month.